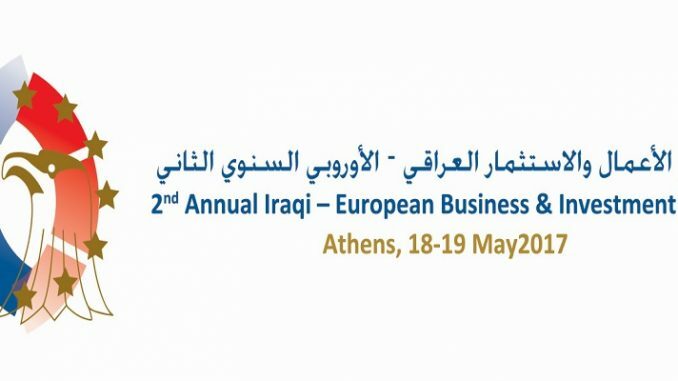 For the second consecutive year, Athens has been selected as the city to host the “Annual Iraqi –European Business & Investment Forum”, with the Arab-Hellenic Chamber as the organizer of this event and Baghdad Chamber of Commerce as the Partner and Main Sponsor. The convening of this Forum comes at a time when Iraq is witnessing greater stability and is pursuing its development of human resources, modernizing its infrastructure and re-building its industry in all business sectors. The fact that Iraq possesses a wide range of natural resources, enjoys a unique geographical location and is considered one of the major oil exporting countries with enormous reserves, qualifies it to be one of the most attractive business and investment destinations in the Middle East for the years to come. This Forum presents a good opportunity for the participants from Europe and Greece to meet a network with their Iraqi counterparts in order to explore means of cooperation and seek the build-up of new business partnerships.